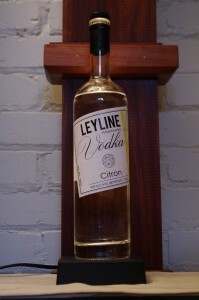 Leyline is a fledgling distillery housed in an economic development center (read old canning factory like many such centers it seems). 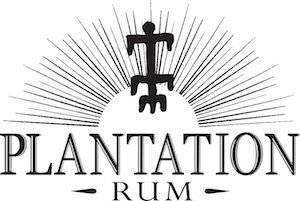 A family run operation they use local fruit and grains to ferment, distill, and bottle on site. They use small stainless steel pot column hybrid stills with a lot of copper in the columns to get that critical interaction ( particularly with fruit) that makes a huge difference in the final product. Appearance: Stunningly clear, silvery in appearance swirling it display a nice viscosity with an even coating on the glass (something I always look for, as something that separates can point to additives such as glycerine or other thickeners, chemicals you see in some of the bigger brands attempts to tweak an inferior product). After a bit drops start to form on the edge line then retreat creating legs and finally the spirit leaves small droplets/beads above the pool of spirits in the tasting glass. Taste: Slightly sweeter than their non flavored vodkas , with lovely oily entry, with a firm graininess and wheat/cereal notes behind the lemon oil . Very smooth with a little warmth but no burn and a pleasant finish that leaves a nice clean grain and lemon taste with just a touch of sweetness and oily nuts in the fade. 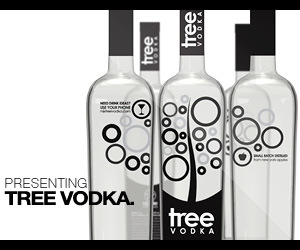 Drinks: The base vodka used in this citron vodka is itself unlike the American Style ( as defined by the TTB definition of “without distinctive character, aroma, taste or color”) was conceived and realized as a European style vodka with distinctive character, aroma, and taste to add and enhance all those characteristics ( and some body also – not just dilution of other ingredients and act as an ethanol delivery vehicle). Bottle: Clear cylindrical bottle with nicely weighted decanter bottom makes for a nice presentation and harder to tip over.It also shows the clarity of the vodka to good effect and is thankfully not frosted unlike a sea of other vodka bottles. Angled labels of white with black printing and graphics with a yellow stripe on the right side give the bottle a slightly rakish look and further allows it to stand out on a shelf or bar. Other: A link to some photos of the distillery with our friend Zamir Gotta of “No Reservations ” fame. Final Thoughts: If you want a nicely done small batch flavored wheat vodka ( and if you are in New York State a locavore product) with a gentle touch of real lemon/citron flavoring and not some chemical equivalent lemon taste we can recommend it. Yes, it is a touch expensive compared to mass produced brands, but if you want handcrafted, small batch products of any kind, that premium is worth the difference. You get what you pay for. You should also note at 80 proof this vodka is 10 % higher proof than many other flavored vodka so that also helps offset the slightly higher price over the bargain mass produced chemical flavored brands. Nicely laid out site but not a lot of info or pictures yet.